Not-for-profit hospitals and health systems will find it increasingly difficult to cut expenses and hold onto stable profits after 2013, a group of financial analysts concludes. 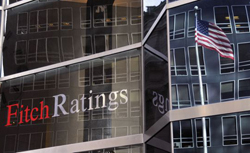 Fitch Ratings analysts' outlook for 2013 highlights the continued pressure on hospital operations from a weak economy and scheduled cuts to hospital pay under healthcare reform. Hospitals and health systems moved during the recession to slash expenses and have continued to do so—some quite notably— through the halting recovery. Those cuts will soon be unable to deliver stable profits, Fitch analysts said. "Fitch believes 2013 is likely to be the last year of stable performance, as scarcer expense-reduction opportunities and looming reimbursement reductions threaten operating performance," the analysts said in their report. Sluggish volume and fewer commercially insured patients have strained hospital operations in recent years, but hospital profits remained stable as management sought to boost labor productivity and manage supply costs and as insurers increased payment by about 4% to 5%, Fitch said. "Fitch believes that the next level of cost reduction within the industry will need to be realized from a change in the care delivery operating model through integrating clinical operations, implementing standardized protocols, coordinating care and managing population healthcare, which will be more difficult to accomplish," according to the report. Hospitals may see Medicare reimbursement cut by as much as 2% in January under the 2011 deficit reduction deal that now has the White House and Congress scrambling to devise an alternative. Hospitals should be able to handle the cut, Fitch said, and other Medicare incentives that put hospitals at risk for losses "remain small for fiscal 2013, but will increase beyond 2013." Insurance exchanges—the marketplaces created by President Barack Obama's healthcare reform law to allow low- and middle-income households to be able to buy subsidized insurance starting in 2014—and Medicaid expansion would benefit hospitals, Fitch said. But development of the exchanges "seems to be behind schedule" and states may choose not to expand Medicaid after the Supreme Court this summer struck down the penalty for states that fail to widen Medicaid eligibility.